BBC NEWS | Have Your Say | Should organ donation consent be presumed? Should organ donation consent be presumed? The House of Commons has rejected plans to change the law on organ donation. Changes to the Human Tissue Bill would have meant organ donation after death was automatic, except in cases where people have chosen to opt out. Sixty MPs voted to make it law, but the government was against the proposal and it was thrown out. Campaigners say the move would significantly increase the numbers of organs available but critics say that there is no proof. Do you have experience of organ donation? Should consent be presumed? What system of organ donation would you like to see? The following comments reflect the balance of opinion received so far. Are we seeing a return of the grave robbers? What right does anyone have to even suggest such a law? The pain of loosing a loved one is bad enough without the news of finding out that their body has been mutilated without the family's knowledge or consent, I fear this government is being more and more totalitarian. Organ shortages are a problem but surly making a corpse property of the state is not the answer. I tore up my donor card as a student nurse aged 19, after witnessing doctors discussing what they would take from a 21 year old critically injured in a motorcycle accident. It was like he was a trolley full of shopping not a loved son, brother, human being. I have since worked in a dialysis unit and still will not donate my organs or any of my family's organs. The government are trying to improve an impossible situation- to fulfil their desire thousands of fit healthy young people need to be declared brain dead- whether they are remains a serious question, can we really trust doctors anymore? I've just read some of the comments with amazement. If organ donation consent went to an opt out system it would not effect anyone's human rights, or parts of their estates. Neither would anyone be butchered with no regard for relatives. People have the right of opting out. This is why it is called an opt out system. To Kelly from Bristol. Everyone I know who does not want to be a "donor" also doesn't want to be a recipient either. So I don't think you'll find that an issue. It all very well to say you can opt out of being a donor, but what happens if you're not carrying your 'opt-out' card when you are involved in an accident, I'm sure the last thing you think when leaving the house is 'I must remember by donor card just in case....'. This system leaves the door open for those of us who would opt out to become donors against our wishes. What's next - demanding you give one of your kidneys for transplant while you are alive, because you can live with one? Matt, Chelmsford- you contradict yourself: You see "no moral/ethical argument not wishing for your own organs be used to save lives", yet object to the same organs being used in research. Doesn't medical research also save lives? Without such research there would be no organ transplants in the first place! To DW of London - I think you have missed the point of what many people are saying. Most of us would be 'quite happy' to let our organs go to someone who needs them, and that is why we carry donor cards. However, it is quite another thing to be told we must let our organs be harvested unless we sign a form forbidding it. This is yet another example of this government's control freakery. Is this not something that could be tied into a national identity card? That way people would have to make a positive decision one way or another before getting their card. So much more could be achieved if we had a joined up approach to government and common sense and respect on civil liberties and rights. I don't understand this preoccupation with what happens to someone once they are dead. I remember my deceased relatives for what they were. Their bodies are not important but their impact on my life and the lives of my family are. A body decays but a personality never does. Giving an organ to help someone else enhances the donor's personality. It takes nothing away from their being. As I am on my own with no near family, if I died suddenly, and carried an exemption card, WHO would make sure my wishes were adhered to? I carry a donor card and have joined the register. I've discussed this with my family but I strongly disagree that they have final say and could overrule my wishes. For that reason I would rather move to an opt out system that at least guarantees donation. I find it difficult to understand the argument that some people are making - that they wish to remain intact. If there is embalming of a body for burial and cremation or if a post mortem is necessary, you will have had blood, organs etc removed. You have little influence on whether these procedures take place, you are dead! So, you only remain intact if your body isn't involved in suspicious circumstances/accidents and it is disposed of straight away. The easiest way to decide whether this is a good idea is to put yourself in the shoes of someone awaiting organ donation. If it was you, would you want an organ transplant to improve your quality of life? To gain normality back to your family life? If the answer is yes, as most would be, how can any of us say no to organ donation? We are happy to take healthcare from the NHS whether we've paid for it or not, but when asked to donate organs after our death, our bodies suddenly become our sacred property. No-one is going to donate an organ if they don't want to, this is just a sensible law for a sensible society. We are talking about dead bodies here. I have carried a donor card for many years and I'm also on the register. My husband died at the age of 31 and although he didn't carry a card, I was aware of his wishes. I agreed to donate his organs which in turn helped 5 people, one of them being a two year boy - only 12 months older than my own son at the time. Organ donation is a precious and wonderful gift of life, but it is also a very personal one. Would those who opt out, calling it government arrogance, be willing to receive the organs of somebody who chose to donate their body parts? I'm more than happy for any part of my body to go on to another person if it means improving their quality of life after my death. My father died a few years ago and I was astounded by what could be re-used, from skin and bone to lenses, it was truly astounding. My only wish would be that none of my body parts are given to people who have opted out of donating. The paranoia in the comments is ridiculous - do people seriously think that doctors are going to let you die to stop someone else dying? The root of this debate is an issue of confidence and belief in our medical profession, not one of "selfishness"
The root of this debate is an issue of confidence and belief in our medical profession, not one of "selfishness". Many who do not carry a donor card don't do this out of some bizarre selfish wish to be an intact corpse when their times comes! On the contrary, they simply don't believe that the doctor's will do enough to save their own life before whipping out the organs for someone else. We have to ask ourselves why is this the attitude? Then we must look at our hospitals and how doctors and nurses treat and speak to patients which is largely extremely rude, arrogant, patronising and uncaring and only the glory of flashy consultants and high-profile operations getting their attention. Organ donation consent should definitely not be presumed. There are many people in this country who may not be up to opting out like the homeless, mentally ill, children, or a whole range of people who just don't get around to having or expressing a view. This goes too far, I'm afraid. I want to be an organ donor when I die, but I'm angry to know that my wishes can be overridden if my family choose to say no, despite my consent. However it is wrong to make everyone a donor unless they 'opt out'. What we need is legislation giving an organ donor card a legal document, making the consent of family irrelevant. Absolutely not. Something this delicate and personal should never be presumed. I carry a donor card, which states that I am happy to donate organs in the event of my death, but it is down to the individual to decide whether or not they are willing to give up their organs after they have died. We were brought into this world with all the contents of our bodies, we have the right to leave the world in the same state without having to 'opt out' of having bits stolen from our bodies. Perhaps those selfish individuals who register not to donate their organs, should be added to a list preventing them from ever receiving an organ should they need one. Fairs fair. I recall that, about 20 years ago, there were adverts encouraging us to carry donor cards. They were then easier to pick up. A donor card used to come with new driving license. Why did that not continue ? It might have been a bit macabre, but more acceptable than presumed consent. I carried a donor card when I was young and fit and my organs would have been suitable. An illness some years ago means that my blood and organs are not up to scratch. Even so I would not be averse in principle to donation if I could help someone after my death. BUT - it must be my choice, and with the agreement of my family. I would not want the authorities having carte blanc to ransack my corpse before I was cold, upsetting my family at a difficult time. They should be encouraging people to join the scheme, with positive images of healthy transplant survivors. This proposal will raise the profile of organ donation but not to positive effect. Once they are aware people will opt out in droves, just in case. Organ donation should be presumed. Death is a traumatic time, understandably, but to destroy organs either by cremation or burial is senseless when they could benefit another person. Presumed consent is an excellent idea, and while you are at it removing family wishes in the matter is also good, as they often differ with the deceased. People who's religion or beliefs don't allow this can register not to, so its good all round. We need to strip the issue down to its essentials. Either we still have rights over our bodies when we die, in which case no organs should ever be taken without explicit pre-arranged consent, or we don't, in which case there should be no need for a card system at all. Donation should only be presumed for transplants, not research. Donation should only be presumed for transplants, not research. I see no moral/ethical argument that stands up in this modern age for not wishing for your own, or your loved ones, organs be used to save lives. Consent should not be presumed. Your body does not become state property because you are dead. It sounds like a good idea to me...the best organs for transplant come from those who weren't expecting to die when they did, and so weren't carrying donor cards even if they would have liked for their organs to be used to help other people. Most people have no problem with organ donation so let those who do carry an opt-out card. No it should not be presumed, surgeons may not be quite so willing to fight for your life if they see you as a potential spare parts source to save others, the argument being your life could save many others. No, consent definitely should not be presumed. If we go down this route, do we presume that people do not want to be resuscitated when they are at death's door unless they have signed a form to say so? The system should stay as it is. I am against this. If I want to donate my organs I will get a card. How do doctors know the organs are healthy and usable? I do not wish to be cut up without my permission. I reserve the absolute right to do with MY body as I see when I am dead. If this bill is passed I will destroy my donor card and register as an objector, thereby explicitly refusing to allow any of my organs to be used. This is typical government arrogance and I urge others to give them a clear message they cannot ignore. Thousands of people suffer, and hundreds die each year because of shortages of organs for transplant. Presumed consent works well in other countries, and could easily be adopted here - anyone wishing not to donate simply has to state their preference. It overcomes the awful question that doctors have to ask. It also more importantly stops relatives over-ruling the deceased persons wishes, especially where minors are concerned. This is difficult. My family has discussed this and we all know what we want to do in that terrible moment when decisions are needed. But to impose a right seems a little too far without due debate - and not just in parliament. My initial concern would be one of unintended consequences where an organ is required and someone is dying - and an overzealous person "signs off" the donor. I think a good idea but just too soon - let's have a very public debate and make sure all understand what it all means, what protections exist. The Government should certainly not presume that everyone is willing to donate organs unless they specify otherwise. Conversely however, if someone has clearly stated a personal preference to donate, the wishes of their relatives should not be taken into account as they are at present. I was startled to discover that even though I carry a donor card, my husband could over-ride my wishes if he chose. I think its a great idea, and it will definitely save lives. I for one don't mind donating organs, but i have never applied for an organ donation card partly through a little squeamishness and partly through sheer laziness & I'm sure there are countless others like me. This law may occasionally cause some distress to families, but if a person feels very strongly about it they should opt out. I think its a perfectly cheap price to pay. I always used to be quite happy with the idea of donating my organs, until a few years ago when I discovered that the donor has no right to pick and choose who should get their organs. As far as I'm concerned, my organs are as much a part of my estate as any other possessions. If I don't want my organs to go to a criminal or an alcoholic, I should have the right to specify that. Since I don't have this right, I will certainly be opting out of organ donation until such time as this has been amended. Yes it should. There is a severe organ shortage in the UK, and something needs to be done to save the lives of those in desperate need of one. Consent for organ donation should be 100% presumed. 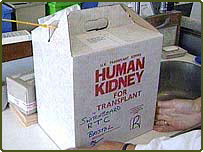 The increase in donation would save many many lives, and if, for whatever reason, someone feels that strongly about not giving their organs for donation, they should make sure that they have a document to that effect on their person at all times, and inform all next of kin, family members etc of their wishes. The amount of people that could benefit from these extra donations is huge and everything possible should be done to ensure that people have a chance at a longer and better life, if the treatment exists to make this happen. Whets wrong with the system that we've been using for years? If someone really wants to donate their organs, then they will say so. I don't want my family to find that when I die my body has been completely harvested because I may have had other things on my mind and forgotten to fill in the form that says 'please do not remove all my organs when I die'. I am quite worried by this proposed change to the law. Although I am happy to donate my organs after death I am disturbed that this very personal gift may become opt-out rather than opt-in. It will clearly lead to the situation where people, due to an oversight, will have their organs used when in reality they would be strongly opposed to such a move. A person who has made the decision to donate their organs is giving the gift of life to someone else. A person who has their organs taken is being treated with little more respect than a farm animal. Further more, what on earth makes a bunch of MPs think they have the right to make this decision for us? Stop letting the government nanny you! This will always be an emotive subject with good arguments on either side. Looking at it logically though, surely it is folly to send healthy organs to be buried/incinerated when they could save a life? Those who object should maybe visit a patient waiting for a transplant and then make their decision. Whose body is it? If it is the clear wish of the deceased to donate, relatives should not be able to overrule them. And the state shouldn't be able to presume anything. Yes, it absolutely should be presumed with the option for the individual pre-empt this by opting out. If people feel strongly about this they should exercise that option. The laziness of those who agree with organ donation but have never bothered to pick up an organ-donor card should not be allowed to continue costing lives. It must be the ultimate arrogance for anyone to think that they know better than God how to make a human being. We should all accept what we are and the Government's presumption of approval is just another twisted scheme to take away our right to choose. Why can't it be the other way around and stop surgeons from permanently removing organs unless they have written consent from the patient? I would like the opt-out scheme introduced. As most people are cremated these days there will be few objections from families. Perhaps the scheme could be modified to require the hospital to let families know how organs have been used while retaining anonymity for donor and recipient.